There are many reasons people sell their homes, but one thing is always the same: if you are selling your house, you want to do it as quickly as possible for the best price possible. 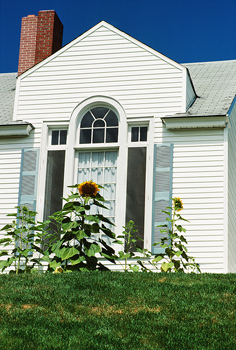 One way to ensure that your home is in top condition is to do a presale home inspection. Typically, it seems, home inspections are done on the buyer’s end, but, in fact, getting a home inspection is one of the smartest moves a seller can make. By knowing what your home’s issues are ahead of time, you can figure out what you want to deal with and fix. You want your house to be as marketable as it can be, and getting these concerns in order is one way to do so. It also shows the buyer that you are committed and motivated to sell. Getting this home inspection can also result in fewer price negotiations at the time of sale, and it increases the chances that the deal will close. A home inspection is an examination of your home done by a professional home inspector using professional standards to discover the condition of how your home’s systems appear and operate. You will most likely want to be around when the inspection is taking place so you can discuss any questions you have with the inspector and see what areas of your home will need work. After the inspection, the inspector will give you a written report. A common misconception is what a home inspector actually is. The inspector does not appraise your house; that’s what a real estate appraiser does. The home inspector objectively determines your home’s current state. Your home cannot fail a home inspection, and no score is given. A typical home inspection will last, on average, 2-3 hours or longer. It really depends on the size and square footage of your home. Inspections usually cost $200-$400, with the average for Americans running about $316. The price can increase if you have additional inspections done. During the inspection, the structural components, the exterior components, the heating system, the air-conditioning system, the roof, the plumbing, the interior, the electrical, the insulation and the ventilation will all be looked over. Some companies offer additional inspections for pools and spas, fences and gates, barns, docks, lawn sprinkler systems and wood-destroying insects. You may also be able to get water, lead, asbestos, carbon monoxide and septic inspections done. What Will You Have to Do afterwards? Most issues the inspector finds will be minor and relatively inexpensive to fix, such as chipped paint, dirty filters, or doors and windows that stick. However there are serious issues that could arise that you may want to consider dealing with before selling. These issues include health and safety issues, roofs in poor condition, deficiencies in the foundation, heating or air-conditioning malfunctions or moisture and drainage problems. It’s up to you to fix these issues or not, but if you don’t, you must disclose the information to all potential buyers. Some states even make this mandatory. Even if you don’t, it could still be less stressful for the buyers to know what the issues are upfront rather than being shocked further on in the process after their own inspection. » Getting Clean while Going Green!